This Is A Collection Of 32 Solos & 38 Etudes For The String Class & Is Written In Unison For Violin, Viola, Cello, & String Bass. This Supplement Features Solos & Etudes Designed To Reinforce & Expand The Student's Technical Development & Musical Enrichment. 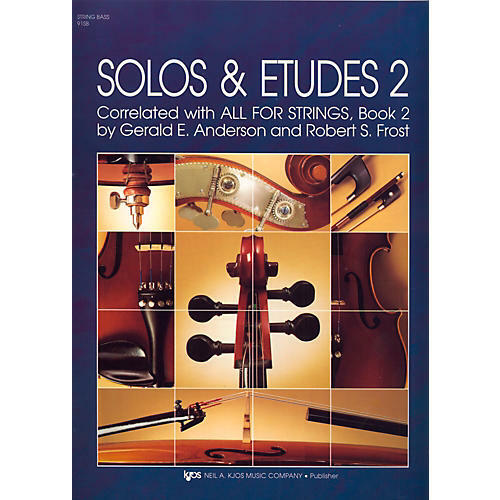 Solos & Etudes Book 2 Is Correlated With All For Strings Book 2 (Pages 5-38) & Can Be Used Concurrently W/ Book 2 Or As Review Upon Completion Of Any String Method Book 2. The Unison Format Provides All Stringed Instruments W/ Every Solo & Etude And Is Suitable For Both String Class & Individual Study Settings. Instrumentation: String Bass, Piano Acc.